This league is currently in progress and is scheduled to end on March 29, 2016. 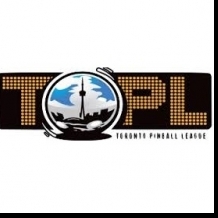 TOPL runs on a match play format, every week players are placed into Groups of 3 or 4 and are awarded points based on how well they do within their group. Players play 4 machines and get 4 points for 1st, 3 points for second, 2 points for 3rd and 1 point for 4th. The season runs currently for 15 weeks (though we may shorten it to 14) and at the end of the season we crown a season champ and then run an open playoffs afterward.